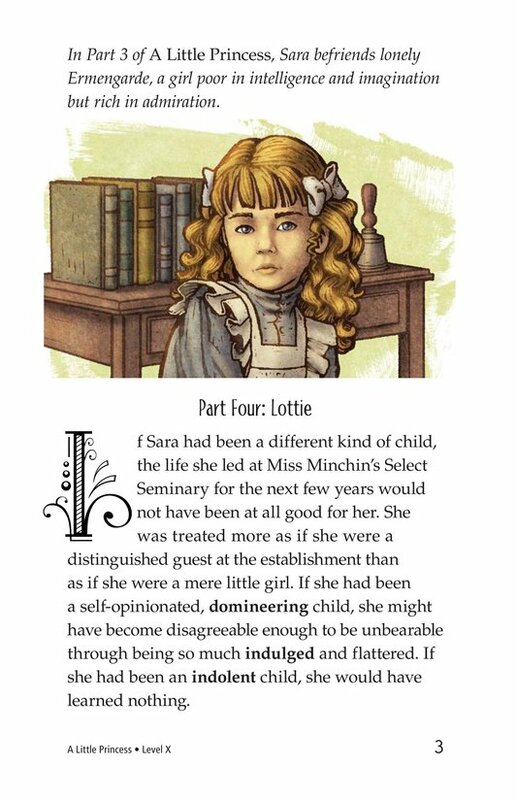 Sara establishes herself at the Select Seminary as a kind child always happy to share her time and toys with classmates. 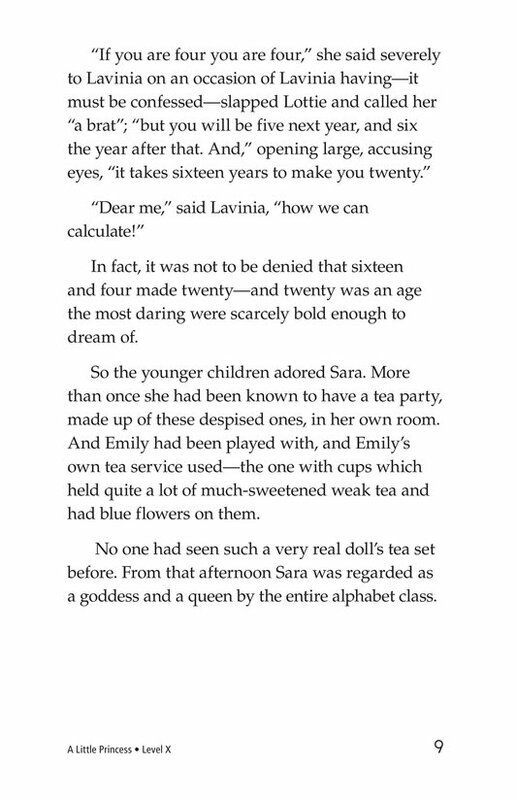 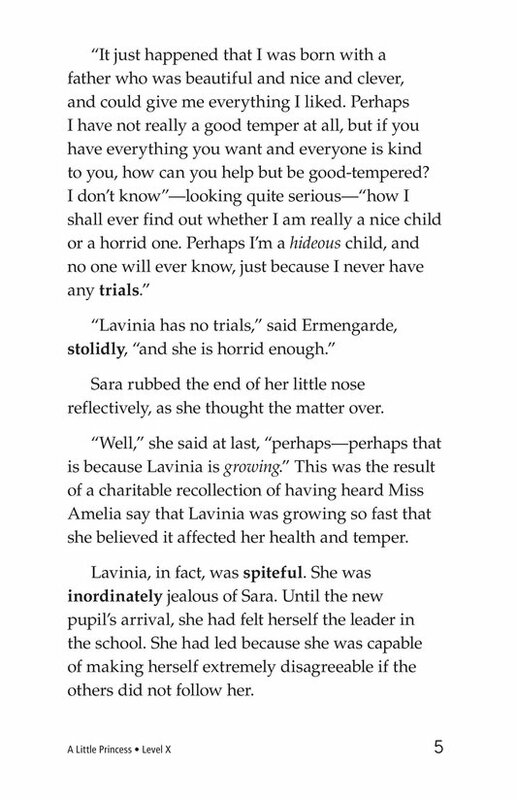 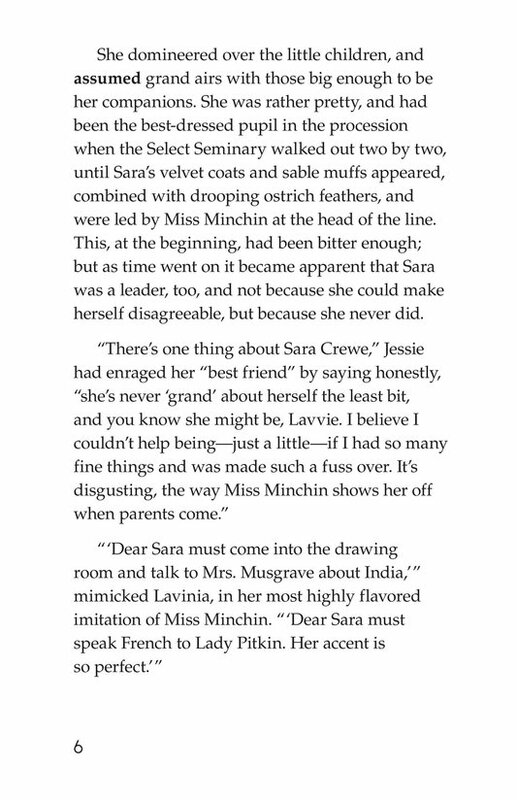 The younger students, accustomed to being bullied by the older girls (particularly the spiteful Lavinia) grow to love Sara. 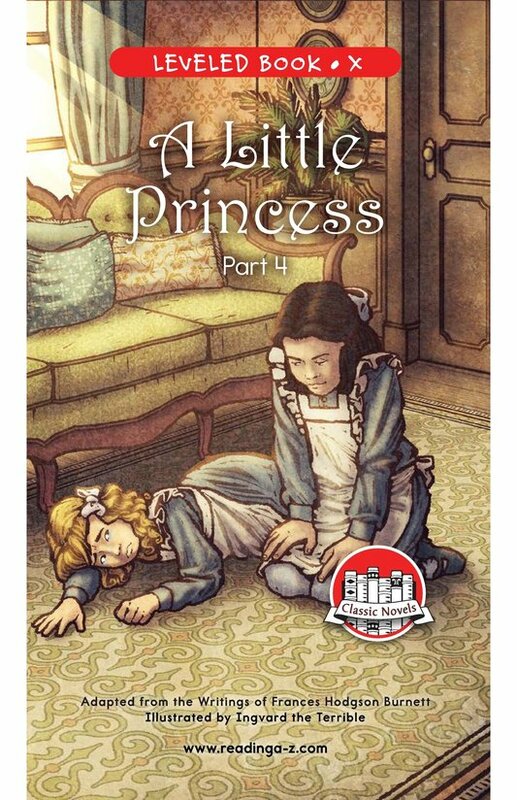 Lottie is one of the younger girls who throws temper tantrums and uses the death of her mother to manipulate adults and get her own way. 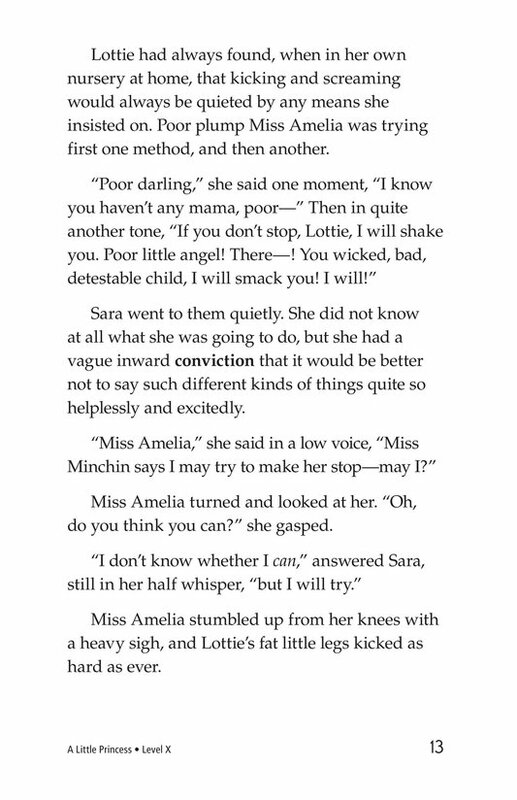 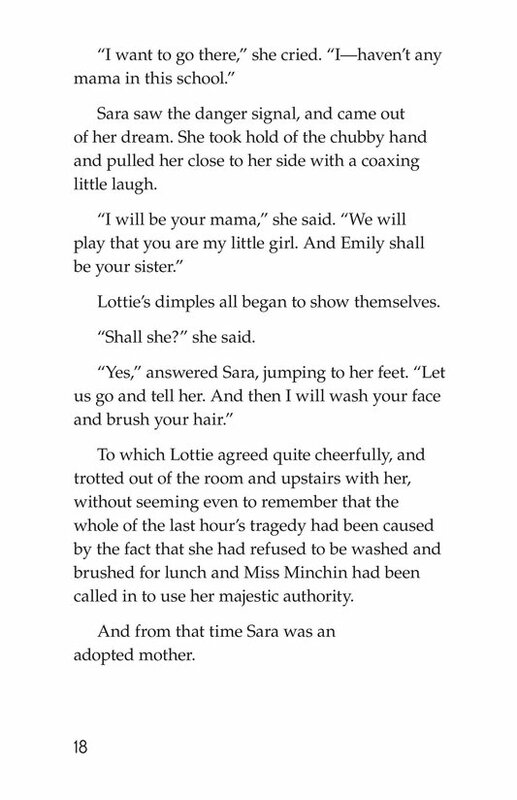 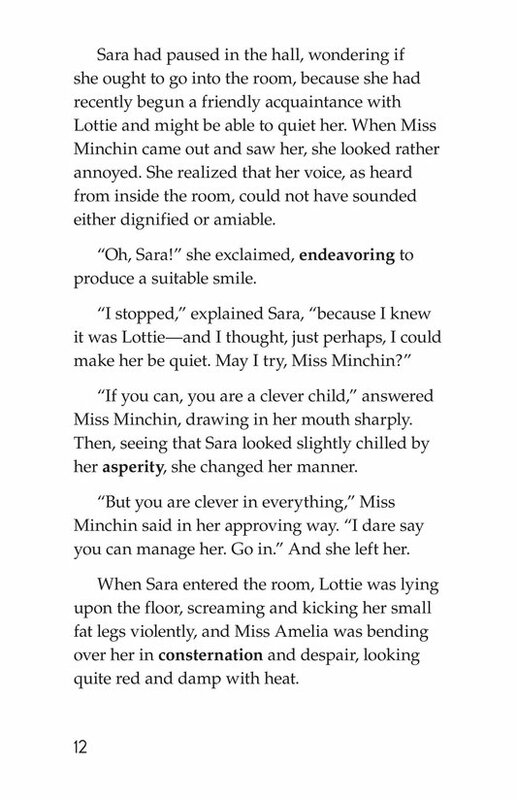 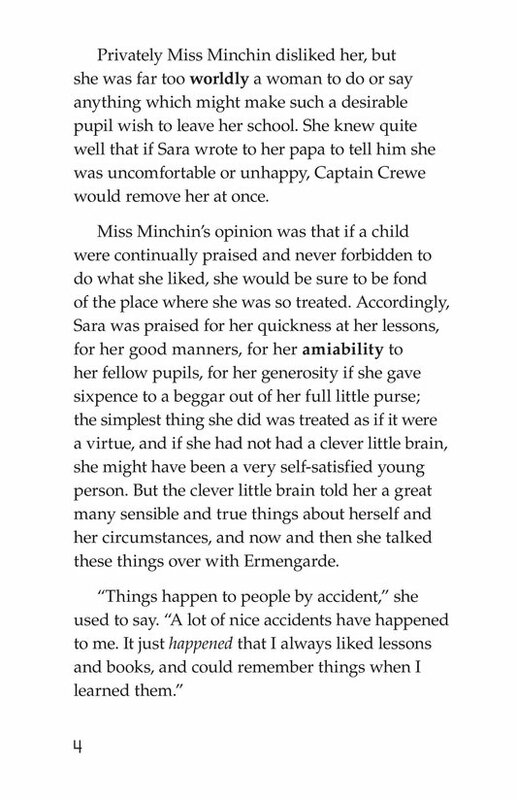 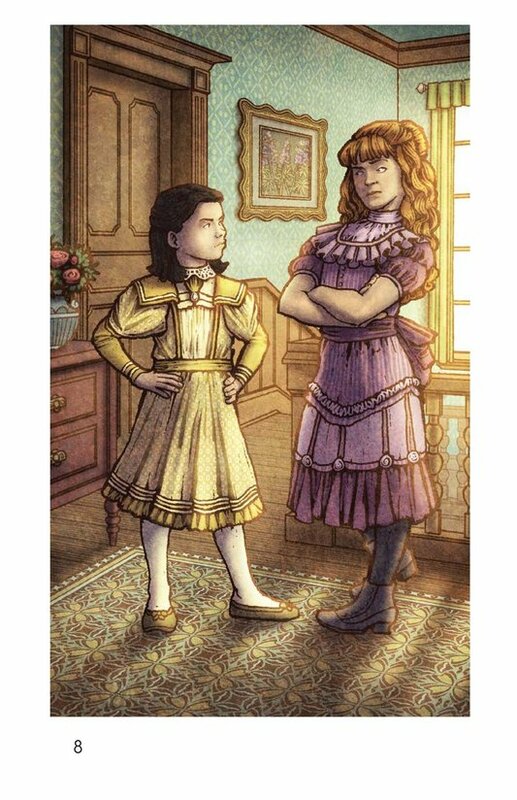 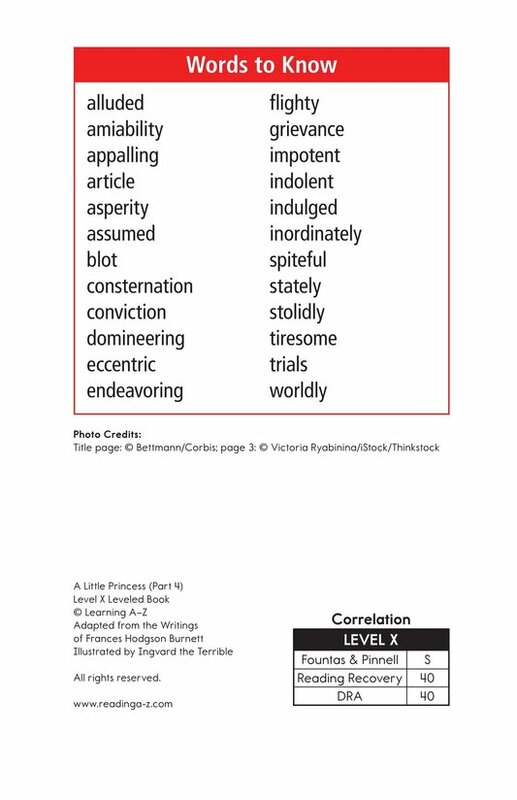 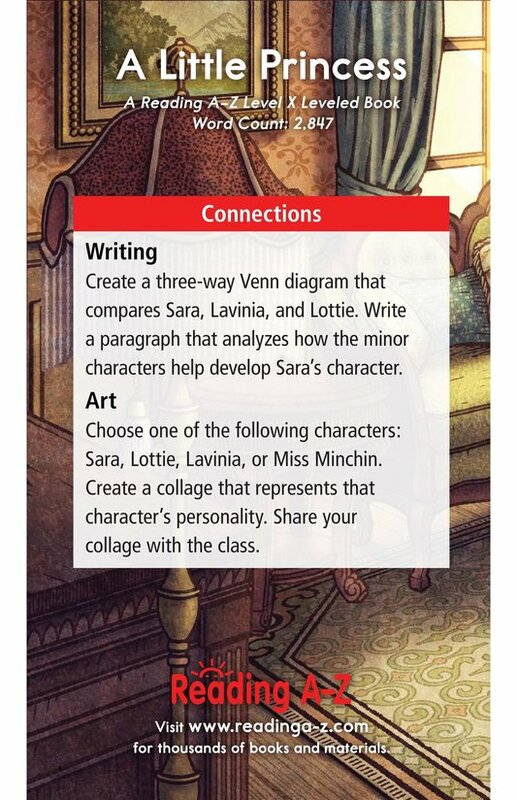 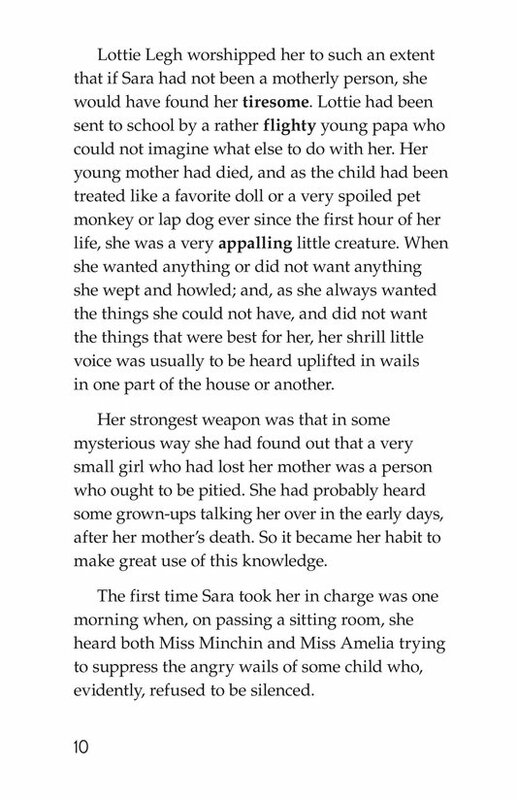 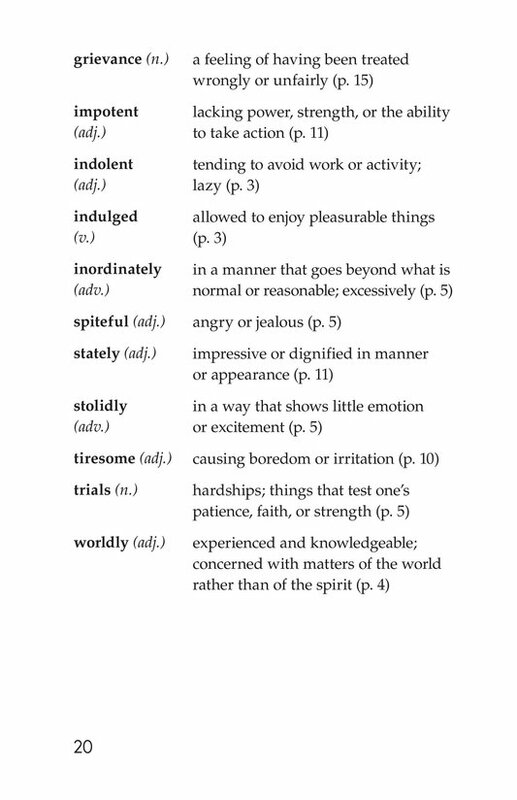 Miss Minchin's efforts to control Lottie typically involve threats and screams—and typically fail. 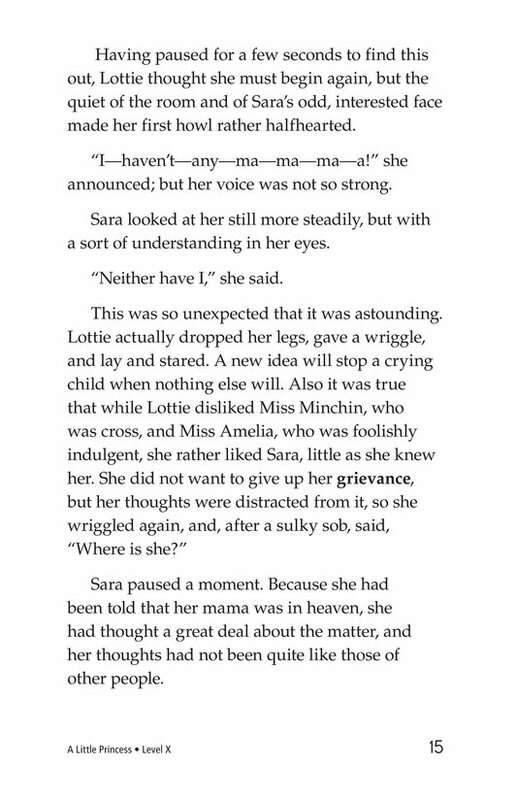 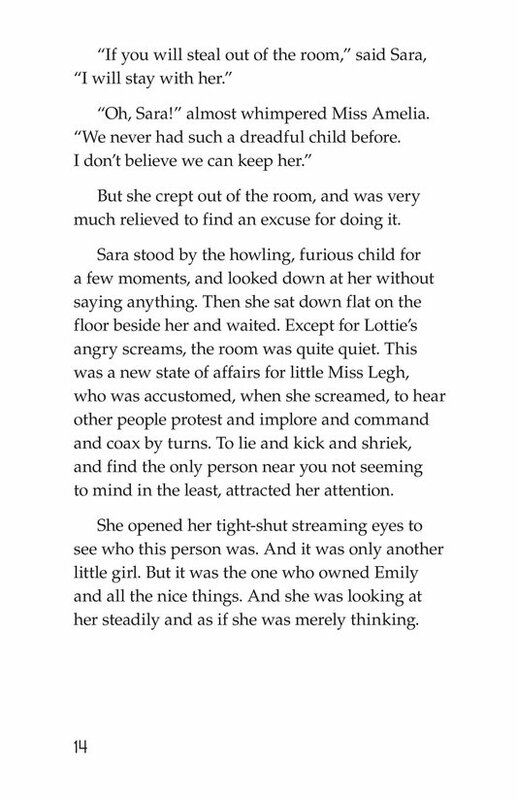 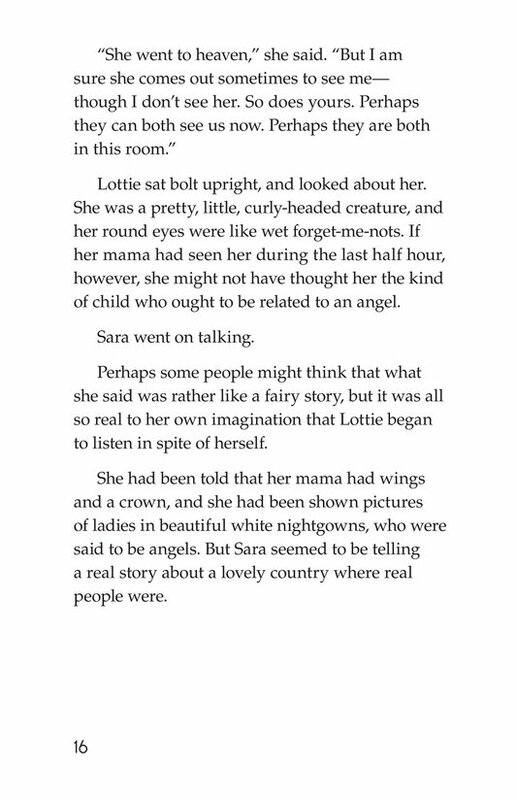 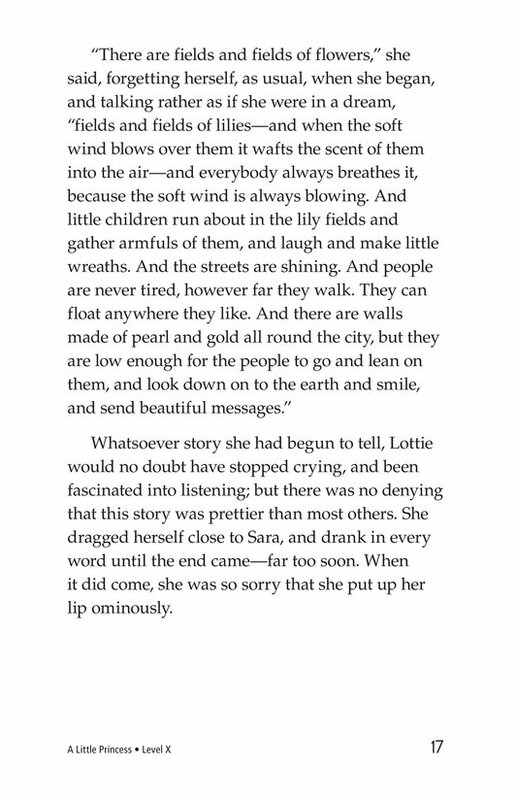 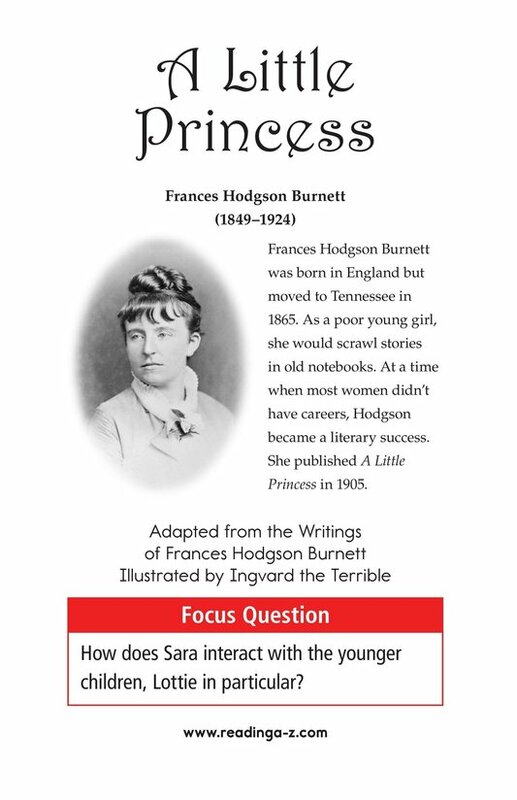 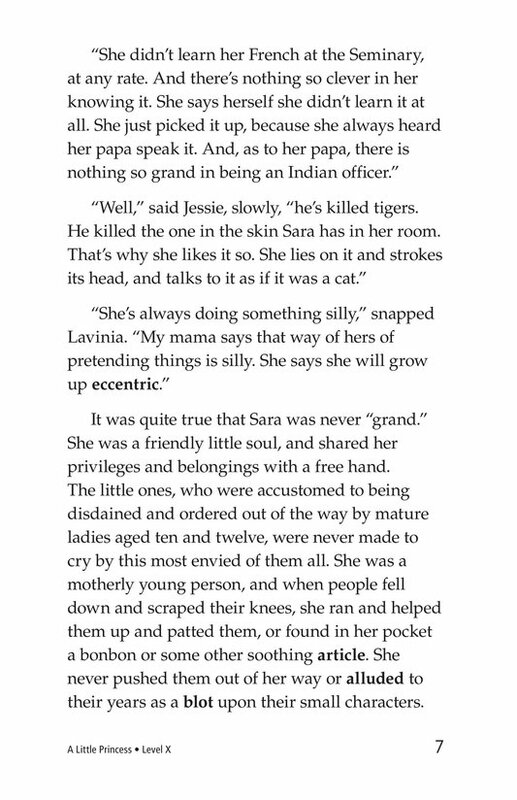 One day, Sara intercedes and her calm approach and promise to be Lottie's adoptive "mother" succeed in calming the contrary child.